Thousands of tourists visit the northeast Georgia mountains every year, and it is easy to see why: Habersham County has a lot of family-friendly entertainment to offer. Whether it is canoeing the Chattahoochee River, enjoying a seasonal festival, or simply admiring the changing colors of fall leaves, Habersham County has something to offer all visitors. Habersham County is home to several seasonal festivals, including the Chattahoochee Mountain Fair, the Mountain Laurel Festival, the Big Red Apple Festival, the Apple Blossom Festival, and the Taste of Clarkesville. Vistors will find regional arts and crafts, unique foods from local restaraunts, and mountain-grown musical talent. These festivals are fun for all ages, and offer a unique way to tour our beautiful county. For more information about these and other fun events in Habersham County, please visit the websites of the Habersham County Chamber of Commerce, the City of Clarkesville and the City of Cornelia. The Northeast Georgia Mountains is home to a wonderful array of arts and crafts. One of the most defining art forms is pottery, particularly face vessel pottery. The craft is a celebrated art form, and hundreds of tourists flock to northeast Georgia just to purchase this unique craft. Apart from pottery, Habersham County is home to several talented artists, several of whom have retail shops. Every year, Habersham County participates in the Northeast Georgia Arts Tour, bringing tourists to view the county's beautiful collection of arts and crafts. The arts are also encouraged in the Habersham County School System, where students can participate in music, art, and theater courses. Not only does Habersham County have multiple performance venues, it also has a vibrant music and theater scene to support the venues. Whether it is coral performances, theater productions, or rock concerts, there is always an opportunity to see a live performance in Habersham County. Piedmont College's Fine Arts program brings in a number of performance arts each year. Students routinely produce and perform plays throughout the school year, and many music festivals are held on campus. 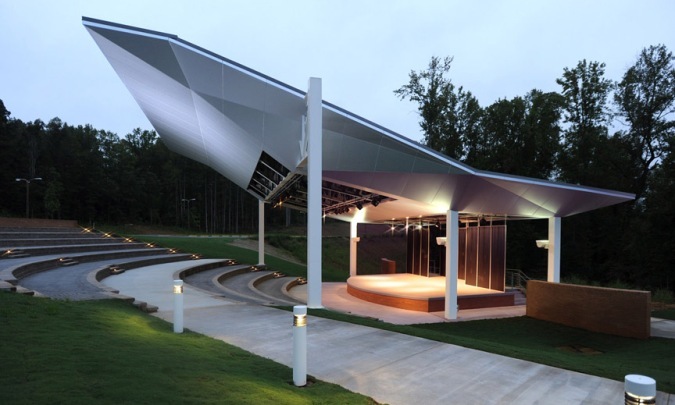 Piedmont College is home to the Swanson Center and the Arrendale Amphitheater, and a full list of scheduled events can be found at Piedmont College's website. The City of Clarkesville is home to two performance venues: the Habersham Community Theater and the Grant Street Music Room. Complimented by Clarkesville's wonderful collection of restaraunts, these venues offer a unique night life experience that is sure to please any visitor.